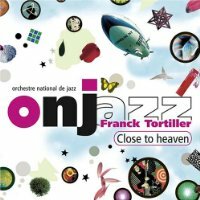 One of my sisters works for the (French) National Jazz Orchestra and so I was invited to one of their concerts, featuring their album named Close to Heaven: A Led Zeppelin Tribute. Oh my. I know nothing about Jazz and I'm only a moderate fan of Led Zeppelin, but this was an absolutely stunning and delighting experience. Read a review of this album on All About Jazz. Listen to these (two very short) samples. Then buy the album! It's ethereal. Ah ca change de judas priest et megadeth hein. Dans un autre style, lorsque nous étions à prague nous sommes allés écouter Carmina Burana alors qu'on n'a aucune culture musicale dans ce domaine. Quelle claque, pas un instrument électrifié, énormément de voix et quelle puissance. As a fan of Led Zeppelin and Jazz music — strange combination, I know — I was intrigued by this. The samples convinced me, and the album is on order. Cheers! It's brilliant, a superb piece of work. I really like the way it mixes the compositional style of Led Zeppelin with the Big-Band Jazz sound. It works well. I've always been a big fan of Led Zeppelin and that whole genre of music. Since learning to play the trumpet as a youngster, I developed a real liking for jazz music. And it's always been a case of "never the twain shall meet". But now they do, and the result is quite something. Good recommendation Ozh, many thanks.